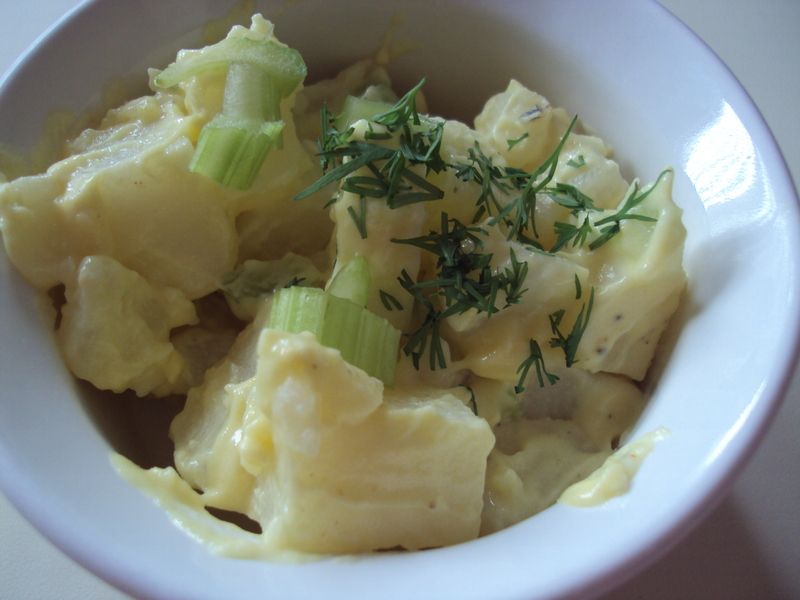 I made this potato salad for Easter and just didn’t get to post it! I know, falling behind on blogging! I was so not in the mood to boil the potatoes, cut them up ……so I took the easy way out on this one. However, you still need to make sure you cook the potatoes long enough (I didn’t and they were a bit to hard still). This is a simple recipe, quick to make and it did have great flavor to it. 1. In 2 1/2 quart microwave-safe casserole dish* combine Simply Potatoes and water. Cover; microwave on HIGH 10 to 12 minutes or until Simply Potatoes are tender. Drain water. 2. Meanwhile in large bowl whisk together mayonnaise, mustard, vinegar, salt and pepper until smooth. Add cooked potatoes, celery, red pepper and chopped eggs. Stir gently. Refrigerate 1 hour to blend flavors. Tips: To prepare hard boiled eggs, place eggs in 3 quart saucepan. Cover eggs with cold water. Bring water to a boil. Reduce heat to low. Simmer 15 minutes; drain water. Add cold water to saucepan. Let stand 5 minutes. Drain; peel and chop eggs. * A 9-inch square baking dish can be used for a 2 1/2 quart casserole baking dish. (I tried to boil my eggs like this and it didn’t work for me. I did have to get more eggs and start over by just boiling the water with the eggs in it. But if it works for you, great).